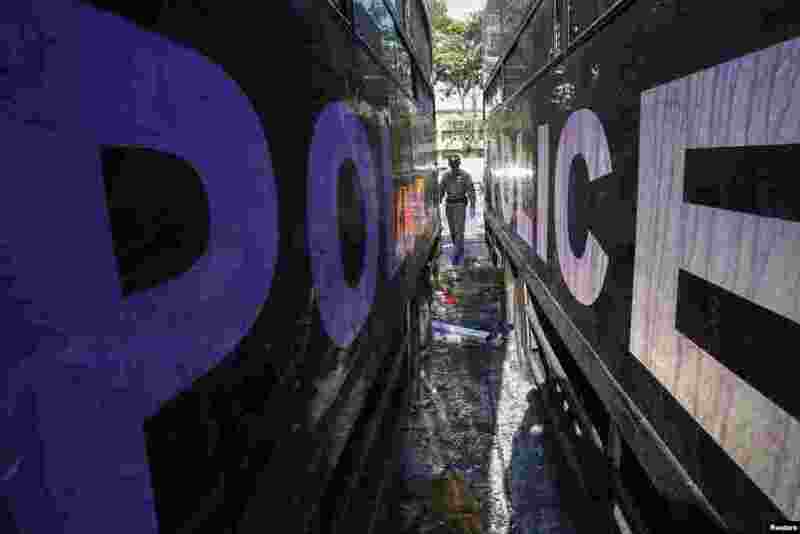 1 A Thai security officer inspects destroyed police trucks at the Thai-Japan youth stadium in central Bangkok, Thailand, Dec. 27, 2013. 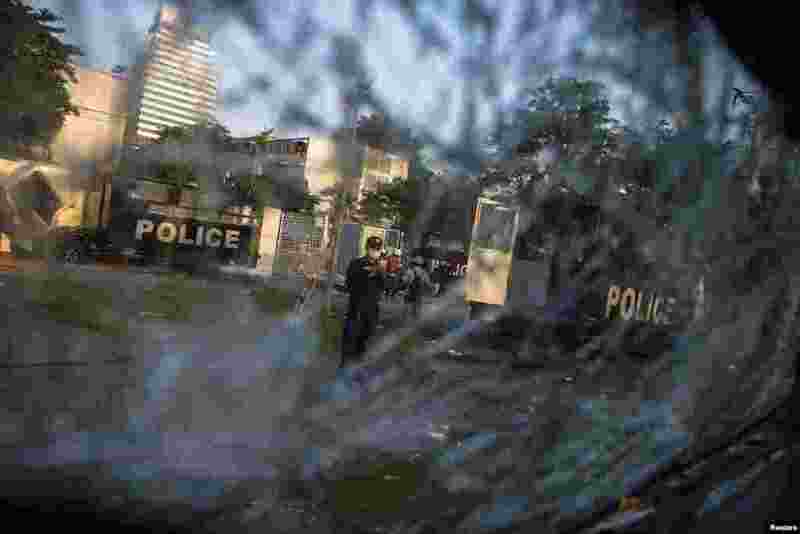 2 A Thai security officer is seen through a shattered windscreen of a destroyed police truck at the Thai-Japan youth stadium in central Bangkok, Thailand, Dec. 27, 2013. 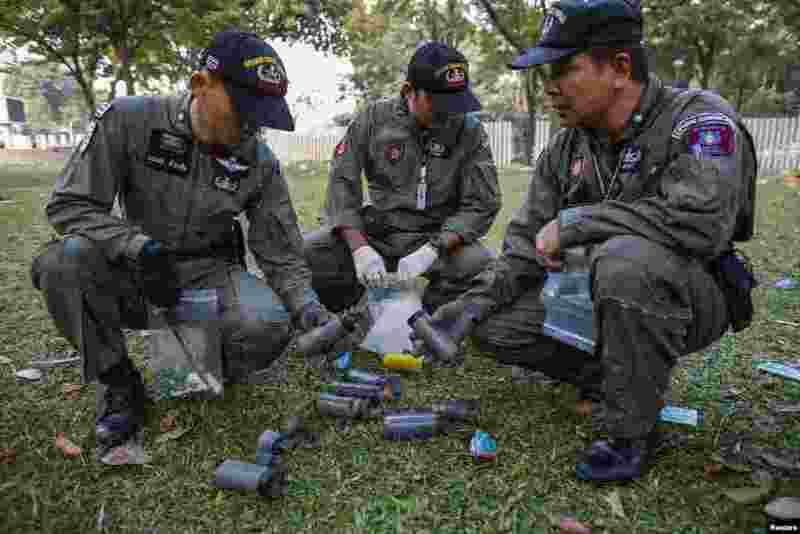 3 Thai security personnel inspect unidentified objects at the Thai-Japan youth stadium, the site of fierce clashes between anti-government protesters and riot police, in central Bangkok, Thailand, Dec. 27, 2013. 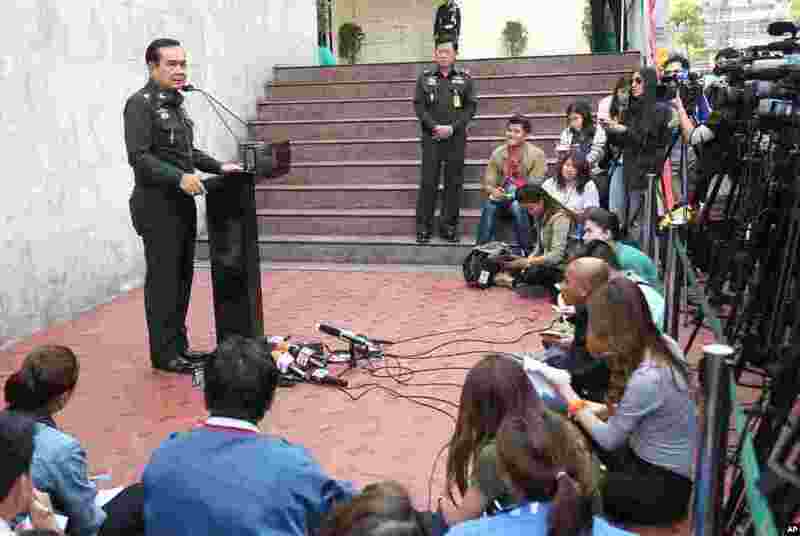 4 Thailand's army chief Gen. Prayuth Chan-ocha, left, speaks during a news conference at army headquarters in Bangkok, Thailand, Dec. 27, 2013.